On January 22, Roland Pauligk, one of Australia's foremost climbing pioneers and creator of RPs, passed away at the age of 79 after a long battle with cancer. 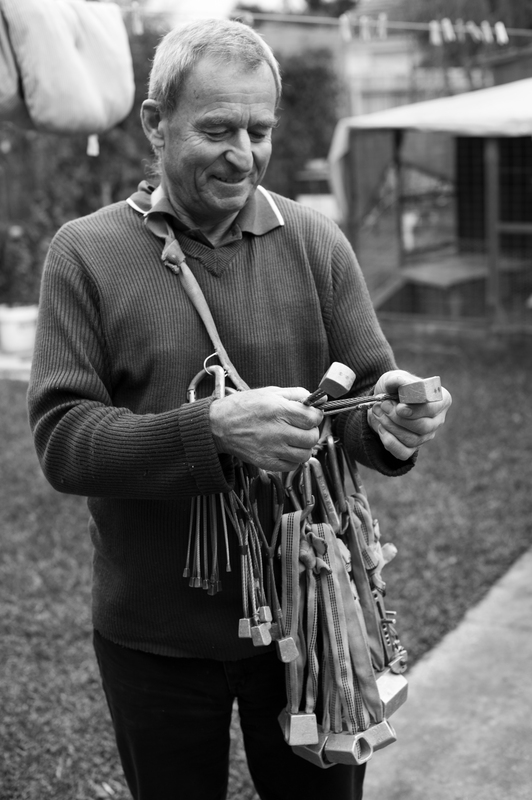 Roland was a father, husband, grandfather, friend, apiarist (beekeeper) and gardener, but he will be most famous among climbers for creating RPs; tiny micronuts with brass heads that protected hitherto unprotectable tiny cracks and fissures. Roland produced his first "RPs" in 1969, although these early models were cast out of aluminum and much larger than modern RPs. However, Roland quickly began to experiment with making smaller nuts with brass heads. He found that running the cable over the top of the wedge and using a swage to join the wire—the way most nuts are made—meant that the wire snapped at the tight radius over the head at low loads. He solved this problem by silver soldering the wire directly into the drilled head of the nut. 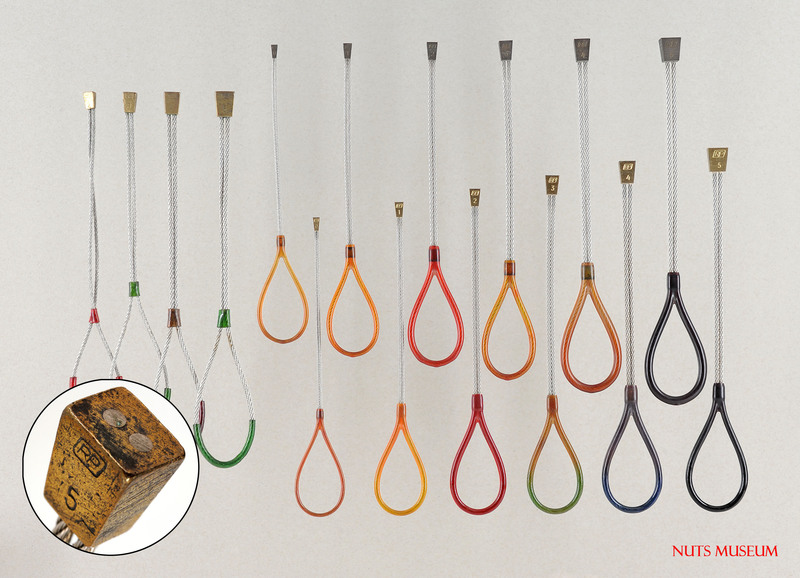 Thus made bombproof, these tiny brass RPs, produced in a garden shed in one of Melbourne's outer suburbs, revolutionized Australian climbing, particularly at the then-booming Mt. Arapiles, with its fine seams and hard quartzite rock. 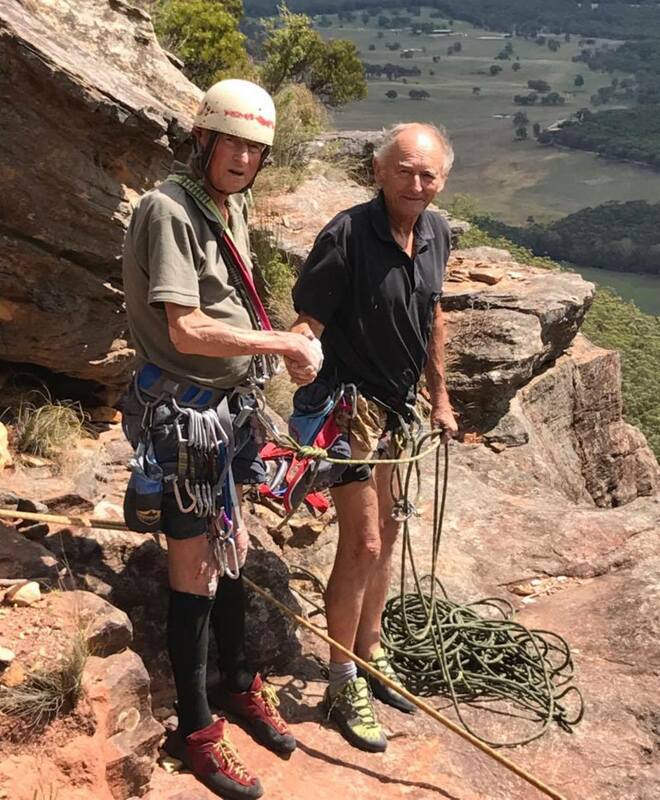 One of the Australia's most iconoclastic (and best) climbers of the '80s, Mike Law said, "[RPs] basically turned Arapiles into a sport climbing area. Suddenly there were hundreds of routes that went from being unprotected to being perfectly protected." Before RPs we had Stoppers and Friends, but the problem was dealing with the small incipient cracks in the quartz conglomerate. The smallest Stopper, a straight-sided #1 Chouinard, wouldn't usually fit. Suddenly we were finding we could get #3 and #4 RPs in lots of places. We were able to venture into otherwise overly intimidating ground, and did a stack of new routes. In the UK there was similar effect. Johnny Dawes, one of the best British climbers of the '80s, said, "RPs are great. Even a zero gives something to fall on." While Pete O'Donovan, another top British climber of the era, said, "To tell you the truth I think RPs were used on virtually all high-end trad routes in the late '70s to late '80s." By 1979, RPs were in such demand that Roland was able to give up his job as a boilermaker and concentrate on producing RPs full time. For the next 37 or so years RPs were sent out across the globe from his modest garden shed at 12 Rivette St., Mordialloc. Roland was a powerful figure during my childhood—a friend of my parents since the mid-'60s, when they met through climbing. We'd regularly see him and his family on weekends, as they owned a bush block in the valley below where we lived in the Grampians. Some of my earliest memories are from "The Block." My family would often visit whenever Roland and his wife Ann and their three kids, Ryan, Karl and Yvette—and their free-ranging pet sulfur-crested cockatoo, Liverwurst (who would terrorize me as a child)—came up from Melbourne. I would play with Ryan and then, when it got dark we'd all sit around the fire, gazing into the flames while the adults told stories. Despite hearing these stories, for a long time I knew little about Roland and his history. But years later, I decided to write a profile of him and RPs for the magazine I was editing at the time, Rock. With a photographer in tow, I made my way back to 12 Rivette St. for the first time in 20 years. Roland was born in 1938 in Germany in Gross-Bademeusel, a small town just 700 feet from the Polish border. A year later Germany was at war, while in June 1941 Hitler made the fateful decision to invade Russia. The Eastern Front was, in Hitler's words, a "war of annihilation"; total war without rules, and it was fought with bitter and unprecedented ferocity. It was on this front that Roland's father was killed fighting the Russians in 1944, leaving his mother to raise four children alone. As the Russians gradually steamrolled their way south towards Berlin in 1945, Gross-Bademeusel was at the frontline for six weeks, and the family was evacuated in stages, often within earshot of artillery fire. The Germans were, of course, defeated. Roland said little to me of this time, just that, "At first it was chaos, you know. The Russians, they were pretty... They were all right, but they got drunk and then they started shooting around everywhere." Roland's family was fortunate, though; Russian officers stayed with them and offered them protection. "They were good with children, you know. I still remember they gave us mashed potatoes and sugar water." In 1960, at the age of 22, Roland escaped East Germany, slipping over the border into West Berlin a year before the Berlin Wall was built. After two years working in Bavaria, he emigrated to Australia in 1963. Roland quickly developed an affinity for the Australian bush. And he loved to climb trees, which is how he eventually got into climbing, going on a Victorian Climbing Club beginners' trip in 1966—the same year he met his future wife, Ann, who was also a climber. One of his first climbs was his first ascent of Narcotic (17/5.10a) at Bundaleer, an event that is described in Grampians Selected Climbs: "After the leading climbers of the day had finished flailing, Roland Pauligk (on only his fourth day climbing) apologized for intruding, tied into the rope, and immediately thrashed his way to glory." 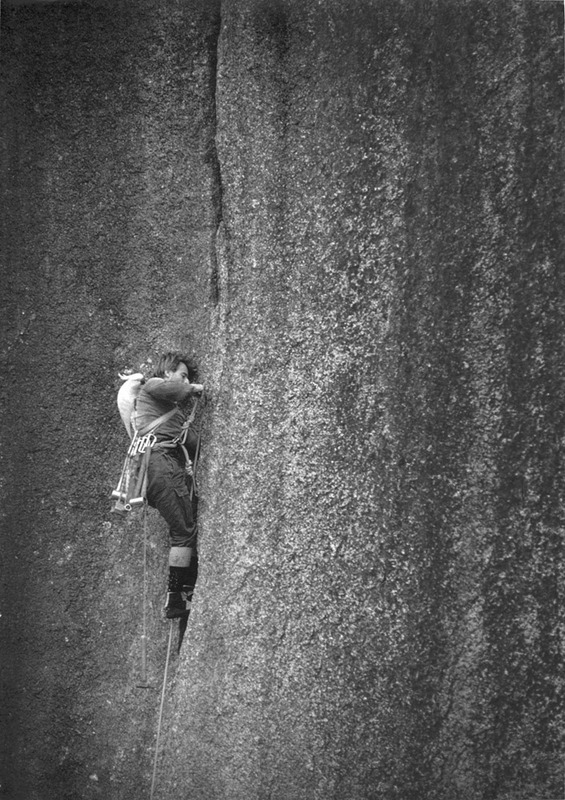 From pretty much that day until the mid-'70s, Roland was one of the best climbers in Australia, climbing many of the era's hardest routes and putting up many new lines in the Grampians and further afield. Roland kept climbing right up until the end of his life. His last route was New Year's Day, 2017. Climbing with him was like stepping into the past—his rack was a collection of (mostly) homemade gear straight out of the early '70s. Up until a few years ago, he climbed in a harness made for him by a friend in the 1970s, until a friend demonstrated it was no longer safe by pulling apart the leg loops by hand. His climbing helmet, with its distinctive red dot, like a target, was probably more than 40 years old. He was old school in other ways, too. Ryan, Roland's oldest son, said, "He loved climbing. If I led a climb or Tony [a longtime Czech friend] led a climb, no matter what the grade, he would get to the top and shake your hand. He always had respect for the climb and the climber." Roland was the epitome of a first generation immigrant: resilient, unbelievably hardworking, modest and frugal. He took immense pride in making things last. For 35 years he drove the same car, the Super Six, and he loved to extol its longevity. Although, as longtime climbing partner Pete Canning once observed, it was a bit like bragging about the axe that had been refurbished over the years with six new handles and four new heads. This attitude made it hard for Roland to ever raise the price of RPs; he couldn't see why anyone would pay more for them. Because of this, he never earned much from them, but he seemed happy to live modestly. The garden at 12 Rivette St. was incredibly productive, filled with veggies and fruit trees, while the block also had an orchard and beehives. The fruit trees on the block were defended against the ravages of Australia's multitude of birds—each more cunning and fiendishly beaked than the next—by large wire cages that grew in size and complexity until they eventually resembled high security prisons (and probably cost far more than the value of any fruit ever picked). Ryan described his father's parenting: "He never tried to be our friend, he was our parent—my father. He worked nonstop. He was into discipline, if you did something wrong you'd know about it." When the kids were young, Ann did everything for the children. However, Roland's relationship with his children changed after he and Ann separated in 2001, and Ryan said that as an adult he would often call Roland to bounce ideas off him and that, "If I ever needed help he would do anything, any time. Anything you wanted, he'd do." This commitment was extended to friends and even to neighbors. Talking to Ryan, we both remembered Roland's strength. My father was a doctor and he had this device that measured grip strength. Many of my friends tried it, including some of the best climbers and boulderers in Australia, but none of them could even get close to Roland's record, which was set when he was in his sixties. Ryan remembers his strength more viscerally: "He'd pick me up with one hand, so I'd be running in the air, and then he'd wallop me on the arse with the other." Roland was diagnosed with gallbladder cancer 12 years ago, but he told few people he was ill. Gallbladder cancer is rare and usually extremely aggressive, killing people in six to 12 months, but for whatever reason it took a lot longer to get Roland. At one point, for a period of five years, Roland's family thought he was in remission, until one day Ryan found out he wasn't. They also had no idea how serious gallbladder cancer was until Ryan insisted on coming to an appointment with an oncologist; Roland simply didn't want his family to worry or for people to make a fuss. Ryan tells me that the production of RPs will continue, but not commercially. Instead, he and Karl will continue to make them for friends and family, as a hobby and to continue the heritage passed on to them by their father. Yvette will look after the fruit trees, bottling the fruit, making jam and baking cakes—the things Roland loved to do. For those of us who knew Roland, those initials, RP, spark many memories: strength, toughness, the deep, rich laugh, the hawk-like nose, and his never-ending indignation at the stupidity of politicians. But they are just as evocative for many thousands of climbers around the globe, reminders of some of life's most intense moments, when everything is focused on placing these tiny bits of brass and steel. Roland was proud of RPs. It was satisfying for him to know climbers valued them. When I wrote the article on Roland seven years ago for Rock magazine, it was republished in Rock & Ice in the US and Climb Magazine in the UK because there was tremendous interest in RPs, and few people knew who Roland was or his backstory—but it only added to the legend of RPs. In Australia, we are immensely proud of Roland: he created something innovative and uniquely Australian, and in doing so he changed the face of climbing. From his RPs, to his routes, to the integrity of the man himself, he will be remembered. Vale Roland.